I haven’t used my pencil crayons in twenty years, but I haven’t been able to let them go either. 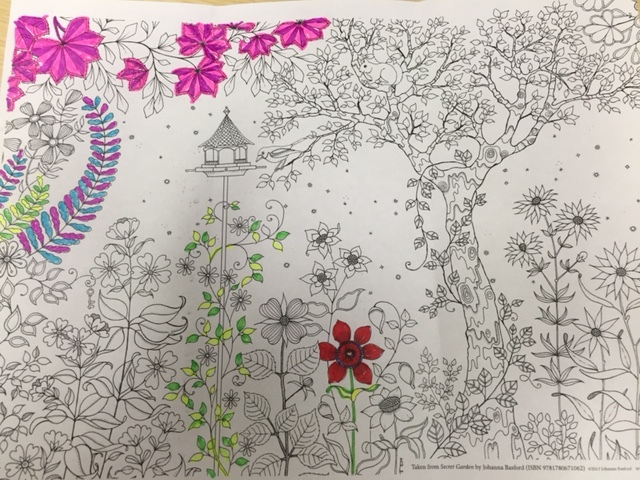 I never thought of taking up colouring again, but someone else has, and hence the trend of adult colouring books! What a great idea! Here’s a project I started with some awesome highlighters, and I hope my friend will help me and finish the rest. I can’t wait to the see the combined result!